The debate has been going on for long on 'The impact of unsuccessful clothing lines by Ghanaian celebrities on the industry'. We have seen the likes of Price David Osei, Sakordie, Yvonne Nelson, Jackie Appiah, Confidence, Guru, D Black, etc launched fashion label but little success story you will read about them. It was a big surprise to us some days back when actress Jackie Appiah announced that she is launching clothing line at Dzorwulu but FashionManiaGh can confirm to you that the boutique has been running for over 2 years unsuccessful. Maybe she meant re-launch. Award winning fashion blogger, Nana Tamakloe shared more light on the unsuccessful story of Ghanaian celebrities. 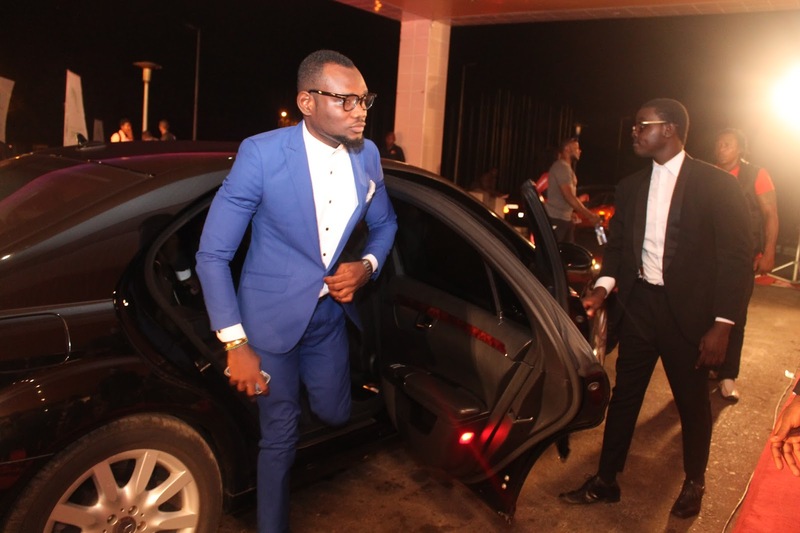 Actor Prince David Osei has launched his clothing line. The clothing line, PDO (initials for his name Prince David Oscar) has very creative couture that has had little impact locally. He stated on radio that he is focused on the international market. Just even the thought of publishing it was tiring. To consider that now, so many actors, actresses and musicians have launched their own clothing lines in Ghana. What is even worst is that most of them are failing at it and not even paying much attention to their brands after their so called launch. Recently Jackie Appiah announced she will be launching her label soon. Prior to this, 4×4 launched theirs, Guru launched his, D Blacks label has been rumoured to launch, John Dumelo has J Melo which hasn’t been seen worn by anyone, Yvonne Nelson last year announced she is opening her second hand shop for everyone who wants to wear her ‘already worn’ clothes and the list goes on. After these announcements you hear nothing. The only celebrity to literally succeed as far as branding goes is Sarkodie’s Sark collection which made our number one brand in Ghana on our list of top 21 fashion brands, of which he continued to support after the launch. The clientele of Sark Collections seems to be doing pretty fine that even after our launch video people have been messaging us to purchase his clothes. 4×4 seems to have put a bit of effort behind their brand, outside of this, all these celebrity launches are embarrassing and here is why. First and foremost there is already an existing list of brands in the Ghanaian fashion industry pushing hard to make it. And one essential role of contribution by the celebrities is to support these brands, most of which they can have access to for free as it works in the return of branding and promotion. For a Ghanaian celebrity to launch a clothing line every week is a slap in the face to the already existing fashion brands as to imply they are not catering or able to cater for their needs. In the case of Prince David Osei, there are many such brands such as Abrantie, IK Dorkenoo, Kustom Looks, Elikem Kumordzie the tailor, Chapter One, Chocolate Clothing, Heel The World and much more he could be well styled in that provide quality men’s clothes. As much as they think they are making themselves look super by extending their hands into the fashion world, they are actually belittling themselves. It also sends messages to the wider public that you are not getting enough from the movie industry, so much so that you had a sit down and had a long think and decided to become a designer in a few months, assuming you would be successful based on your work in entertainment, which no successful mainstream actor does. Most celebrities turned clothing brand owners do not actually do any core research. They don’t take time to work in the industry or make affiliates, nor study trends or fashion. They sit down with their ego rubbers, who say to them ‘Hey men that video you acted inside is shegele, now you are so popular men make your own clothes, because yesterday my sister wanted to were clothes wif your name but she said the shop doesn’t have some. I think it would be Jheee’. And then the label is launch. Please give it a break, make ties with designers, show them the power of your endorsement. By the time you know it you are getting paid for doing so. But please, stop the celebrity turned clothing line launcher. It’s tiring, and it’s only Ghanaian actors and musicians that are doing this everyday. Prince David Osei Said on radio “The showroom does not exist anymore. I just work from the workshop at Kokomlemle and I sell them outside Ghana,” Please, Stop it! Stop it right there, and work with our already existing brands. Disclaimer: This article is not meant to be offensive, we believe Prince David Osei is a fabulous actor and a very stylish man, unfortunately this snap happened to have been executed upon his timing and is generally directed at all celebrities turn clothing line launchers.